Some of the first associations when mentioning Cannes are certainly the famous events such as famous Cannes Film Festival and Cannes Lions, the Festival of Creativity where we have a chance to see our favorite movie stars and other influential people walking down the red carpet in the latest haute couture creations, year in year out. Everything is bursting with glamour during hot summer days when these events take place, but we can honestly say this is a typical situation in Cannes from April to September! During this period, it appears that this pearl of Mediterranean lives on its own, radiating natural opulence and uncompromising luxury, whilst enticing us to enjoy in its numerous hotels, fine cuisine restaurants and vibrant lifestyle. And given the fact that Cannes nurtures a long-lasting tradition of the finest tourism services and is a forever in place to be, it’s quite understandable the one’s decision to choose precisely this holiday location. However, that’s not all. It seems that economy and industry also thrive here, for this is a main seat of literally thousands of successful companies from which many are in trading business, service providing business, etc. Business and pleasure do mix in Cannes, in the best possible way and in a joyful surrounding that makes everything run smoothly. And you shouldn’t be surprised by this unique form of refined hedonism that imposes itself as a lifestyle that you’ll be glad to embrace. Dynamics of Cannes is mostly determined by sophisticated demands of its visitors who want to have everything at their fingertips. Indeed, in Cannes is easy to find everything: from vivid night clubs, designer brand shops, fancy casinos, five star hotels with premium services and so on. And while in the streets of the city, you’ll be very likely to see dozens of luxury car brands that are quite easy to rent in order to complete your overall experience. In fact, ever since the fast railway development in the 19th century, when the perfect conditions for streetcar appearance occurred, Cannes has remained one of the authentic places on Earth, where you’re most likely to come across all sorts of luxury vehicles on a relatively small surface. It’s like a car fashion week; well, except it lasts for more than a week! If you’re planning to take advantage of spending a summer holiday while enjoying the glitz and glamour of Cote D’ Azure, there’re several premium vehicles that will certainly make a great statement about your personality. A stylishly designed convertible that doesn’t lack raw power such as Porsche’s Boxter is definitely one of first thing that crosses our mind. Summer in Cannes just begs for the right cabriolet, poised with elegance and undying classical values and these are some of the typical Porsche traits! On the other hand with our luxury car rental Cannes service and BMW Z4 Cabrio might be a better solution for all those cherishing more sporty design that comes in pack with timeless, breath-taking elegance. This beauty is essential for promising on-road blast that will bring your trip to the very next level. Also, it will perfectly blend in with shiny Cannes lights in a no time, and be a perfect companion for your Mediterranean adventures. Not a convertible fan? No worries. Instead, consider renting a Ferrari FF. This top-notch sedan boasts all classical Ferrari features such as power, sophisticated design and premium comfort that comprise a perfectly balanced whole, just waiting to hit the road! 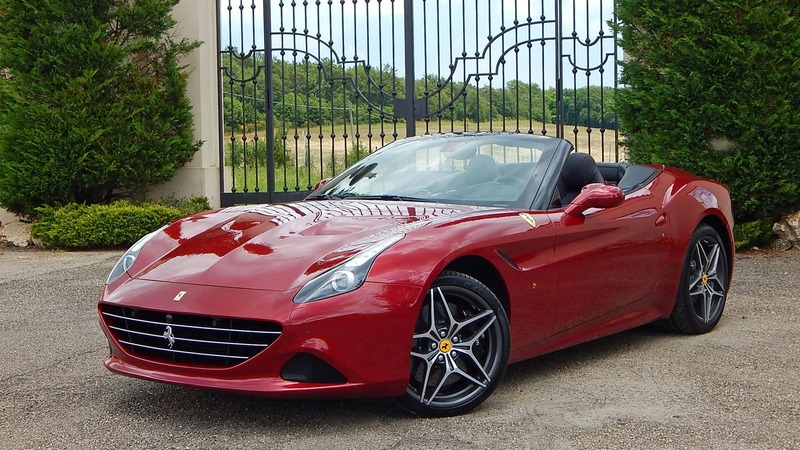 Renting a Ferrari on French Riviera is simply a must, especially in a kind of environment such as Cannes where it will show its full potential. Keep a few things in mind as for the local traffic; although you will have to pay for it, parking is generally not an issue. We recommend that you use one of the parking garages as this is much better than desperately looking for a parking lot on the street. Moreover, one-way streets are very common which can pose an additional difficulty if you are not familiar with them. It is important to mention that during the festivals and tradeshows traffic gets busier and therefore parking demand – higher. Also, during Cannes Film Festival the Croisette is closed and you are best to avoid driving anywhere near there during that time. Open roads towards popular nearby locations such as Nice, Saint-Tropez and Monaco might offer more fun for speed lovers but you shouldn’t get too relaxed there either. Enjoy in every moment of your daily trip with ELC luxury car rental Cannes service at a slower tempo and you will get a lot in return. We promise!